We are delighted to announce our continued sponsorship of Yeovil Town Ladies FC, as they embark on their new season. Last year saw us embark on the journey into the inaugural FA Women’s Super League alongside the club. The league brings a new take on women’s football as it continues to grow both here in England and around the world. Television coverage, alongside increased media focus, is really bringing the women’s game to the masses and we are delighted to be a part of this development. 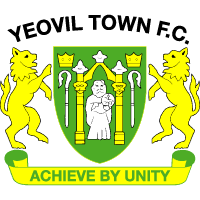 Yeovil Town Ladies play their home games at The Jones Stadium, Sherborne and this season will see them competing with the likes of Everton, Reading, Aston Villa & Watford. The Ladies play on WSL2, just one tier below the premier division of English Women’s football. We’d like to wish manager Jamie Sherwood, his team and the whole club the very best luck for the coming season.